Ferguson police chief will step down on March 19, reports say. 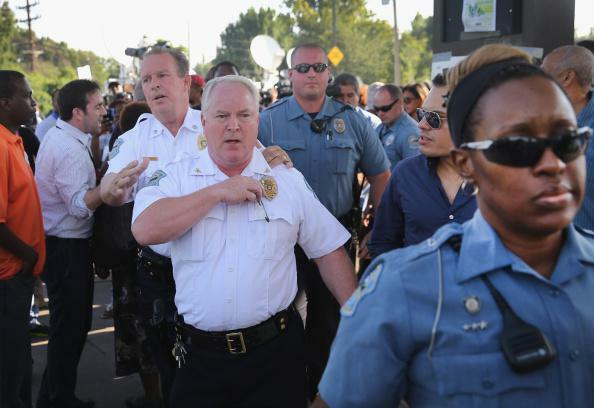 Ferguson, Missouri, Police Chief Thomas Jackson will resign as of March 19, reports say. On March 3 the Department of Justice released a highly critical report that documented a number of abusive and racially biased practices perpetrated by the town’s police officers and other municipal employees. Ferguson’s city manager, John Shaw, resigned on Tuesday; two police officers and a city clerk who were connected to the racist email jokes described by the DOJ have also resigned or been fired, while a municipal court judge named Ronald Brockmeyer who helped oversee the city’s reportedly extortionist system of tickets and fines has also stepped down.